When you stay in Hotel Montana, you never have to worry about parking. Our free parking is public, there is no private option for now. Even if you organize a group that is arriving by a bus, there is plenty of space for your bus. 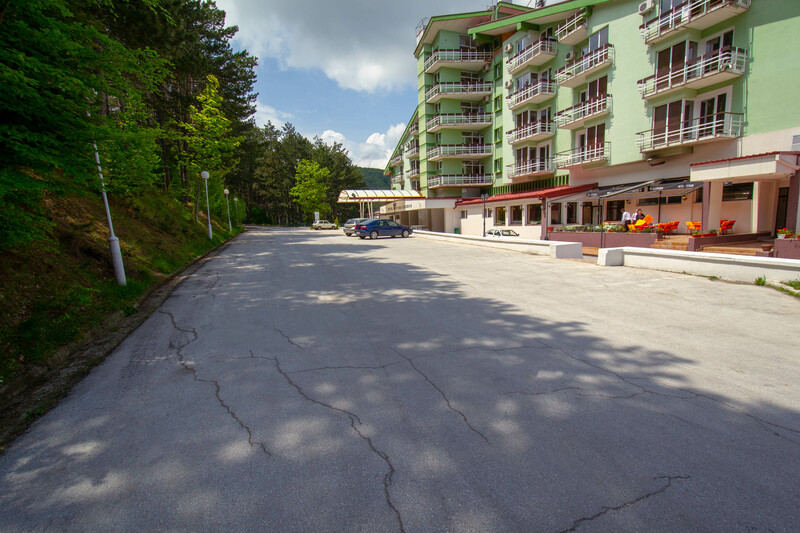 The street is used mostly by hotel guests and rarely for other purposes, so you can expect very little traffic. Cars and other vehicles are undisturbed. In cases of huge events when the street parking is overloaded, there is a playground nearby, that we use for parking. Part of the street parking is covered by our video surveillance and we are working towards covering the entire area of our street parking for peace of mind. Parking is completely and entirely free for our hotel guests. If you have some heavy luggage you can drive up to the entrance of our hotel unload luggage and even people, and then continue to park your car. During winter Krusevo is an area with heavy snows. 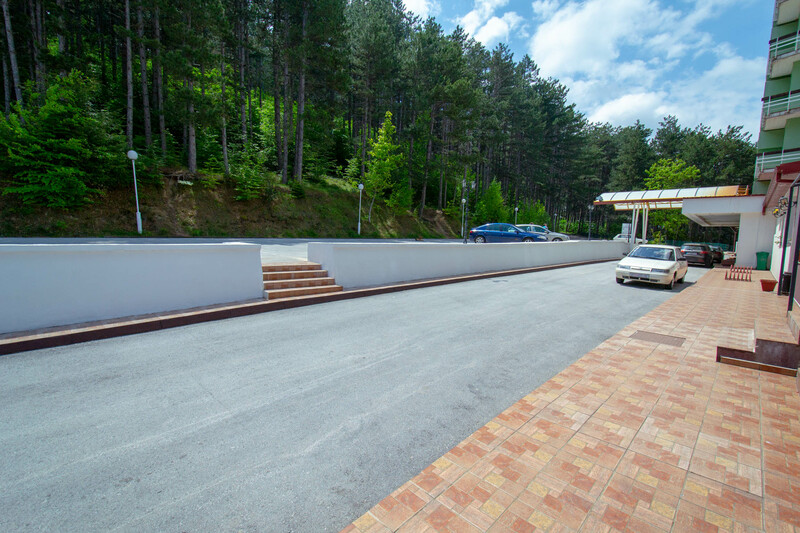 All of the roads coming to Krusevo are big roads, regularly maintained and snow is regularly cleaned. Winter tires are mandatory for driving around. If you don't have full winter tires you are required by law to have wheel chains for snow. Be aware that cars whose driving power comes from the back wheels will have trouble driving up the mountain, especially if tires are not winter tires. We regularly take care of our parking, making sure that there is always parking space free of snow. We also make sure that your car can exit the street parking and take the road home. 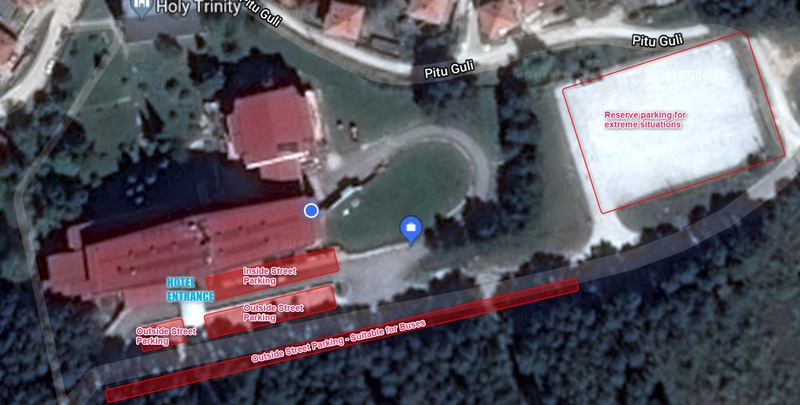 If you decide to pay us a visit during the national holiday 02.08, known as Ilinden, please be aware that parking conditions might change, and you might be required to park a bit further from the hotel. In case such a decision is taken you will be instructed by a police officer and guided to your parking destination.